Full Hybrid Electric/Gas Motored Bicycle Pics! So... I've been messing around with motored bikes for 3 years now. I have an early 2000ish Norco Wolverine that uses a 50cc slant head chinese happy time style engine coupled to the sickbike parts shifting kit which allows it to use the rear derailer with the engine instead of bolting a sprocket to the spokes. I have just mostly completed my project to hybridize the bike with an electric engine after about two months of research and building+ordering time. I mounted a 350w 90:1 geared down motor MY1016 from tnc scooters to the bike. It is mounted between the rear wheel and the seat, hanging upside down from a rack I built out of angle iron. I unfortunately cannot weld, but I can tap threads so the rack is mostly threaded pieces screwed together with bolts and then bolted as well on the other side. The motor is connected via bmx chain to a bmx freewheel sprocket that is mounted on an adapter that allows itself to be mounted on a 5/8" jack shaft with a 3/18" keyway. This jack shaft was already the one in the sick bike parts kit, so I made a longer shaft out of steel from a local metal shop and mounted the freewheel assembly on the outside. I'm using a 24V 12~ amp lithium ion battery that weighs about 7 pounds and honestly feels like nothing inside a backpack. The entire assembly is designed to relegate pedaling to the past. As a red light goes green, I use the electric to power me up to about 20 km/hour. Then, I release the clutch on the gas engine, which engages the electric to turn over the gas engine as well as push the bike. Then, I accelerate on the gas and release the electric, which thanks to a real freewheel remains completely steady as the gas pushes and adds little to no actual friction on the drivetrain. At the moment, the bike is geared wrong. The electric engine is pushing the whole thing at 18 km an hour... but in 8th gear on the bike lol. In first gear it is pushing 5km an hour, but i found out yesterday that it will push itself up the stairs of my appartment building, which is good because it now weighs in at about 70 pounds at least. I can still lug it up the four flights i have to, but its nice to just sort of lead it up as it pushes itself. Still, Id like the electric to push e the 30km an hour I think it should be capable of it it was geared right. Also, I failed to realize that the gas engine needs to be spun at a minimum rpm for it to catch and start, and not just turned over. 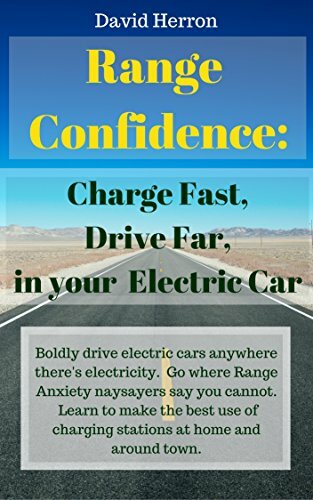 So at the moment, the electric will just barely start the gas engine because it is not spinning it up fast enough, although it has plenty of torque. The solution to both problems is obviously to change the gearing between the engine and the freewheel. It is right now 9 tooth to 16, 0.55:1. I can order an 11 tooth for the 8mm dbore electric for sure, and possibly an 18tooth if that fails. For the freewheel, I should be able to order from Stanton a smaller adapter for a freewheel down to 13 teeth in size. Both of these solutions will require a few weeks for shipping, but if i can increase the ratio to almost 1:1 between the engine and freewheel then the system should be perfect. Until then, I'm laughing using the electric mostly to not pedal at all and idling the gas engine at lights (ugg). If i had to do the whole thing again, I'd definitely just invest in a cyclone style geared electric kit, or build my own, but I'd skip the gas. It's fun and the range is huge and cost is tiny, but unless you pay for a GEBE kit or something else quality, they are a hobbyist vehicle and not really a fully reliable one imho. The geared electric seems like the future to me. The controls are as follows; left had side, dual pull brake leaver i made, which activates front disk and rear v brake. It will soon be upgraded to one that will also activate the rear brake light I will be adding. The left hand shifter is actually the gas clutch; gear 1 is gas on, gear 2 is off, simple as that. The right hand bar has the rear bike derailer's shifter, the gas kill switch, the electric twist throttle and the brake leaver gas throttle. Re: Full Hybrid Electric/Gas Motored Bicycle Pics! Also, the gas engine maxes the bike out at 54 km/h on flat or about 45 up a steep hill, or 65.9 downhill, probably could hit 70 on a long downwards stretch with a tailwind, since it currently maxes out in 7th, with 8th tantalizingly out of torque's reach :P.
I wish I could get a good look at that thing, I'm sure it's like no other under the Sun. One thing you could have done was use a front power wheel amd spared the integration in the chain drive. But I'm not sure why you went to all this trouble, unless you simply wanted to build it. And if you like building so much. . . . The main reason for integrating the electric in this manner is so that it can both push the bike and also start the gas engine. Your bike starts through momentum because the back wheel is directly connected to the engine; if you added an electric hub motor then it could be used to start your gas through momentum. Using the Sick Bike parts shifter kit modifies the engine to put power to your pedal chain-ring thus allowing the rear gears to be used with the engine. However, when installing the kit you must remove the standard chain-ring and pedals and install one that essentially mount the pedals to a freewheel. So, when you pedal forwards clutch off neither engine turns. If you were to release the gas clutch and stop pedaling nothing would happen, you'd just coast; the rear wheel is not connected to the drive-train in a manner that can turn the engine over through momentum, you have to use the pedals like a kick-start and physically turn the engine over yourself. It's not hard at all, but it causes a specific issue for me. The carburetor on my bike is removed from the engine connected by a pipe thats probably 4-6 inches long. If i set up the idle on my gas engine, then when i release the throttle and clutch when braking, for about 3 secs the gas already released into the carb tube is burnt while the engine is disconnected from the drive-train. This causes it to rev alarmingly for a few seconds before quieting down to normal idle rpm at a stop light. As a result, I do not use the idle on my engine, and I either feather the throttle at lights or let it die and start it up when it goes green. I feel like the point in time when im starting it at a green light while cars pass me on my left is the point when i have the least situational awareness as i'm forced to concentrate on the bike, standing on my pedals and using my weight to kick-start the engine again. Also, kick starting it over and over is putting strain on the motor mounts and twisting the gas engine in the frame a bit, causing chain tension issues beetween the gas engine and the bike chain-ring. My solution to both problems (as well as a fun project, lets be honest) was to incorporate the electric into the drive train rather then go brushless hub. At a green light, from a stop i now accelerate up to about 20 with the electric. Then i release the clutch on the gas, it is started by the electric and then i just accelerate on the gas. I never have to pedal again, and ideally it will be much safer overall because of the smooth acceleration through intersections where you're most likely to run into a problem with cars who can't possibly know what to expect when you accelerate faster then them. Right now it is officially not geared quite right but the plan does work, every facet functions successfully. Also, the electric will push the bike up my 4 story apartment stairs in gear one. Sure beats carrying the heavy thing :P.